I need to amend my PlaceMakers order – Welcome to the NextMinute support and feedback centre. 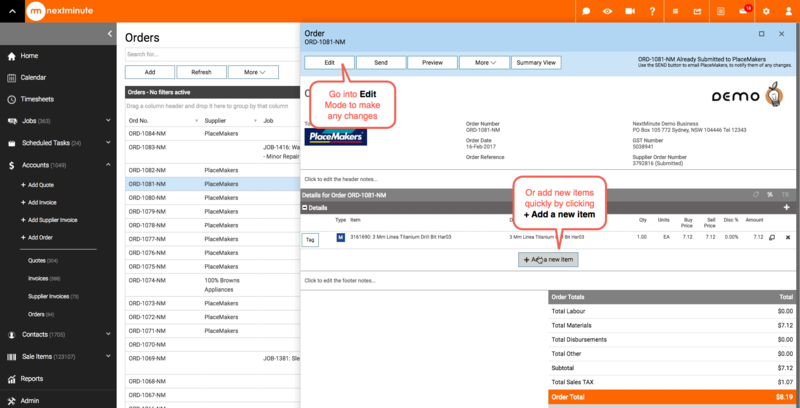 If you have created an order in NextMinute and submitted it with PlaceMakers you can still make any changes to the order and contact your branch. 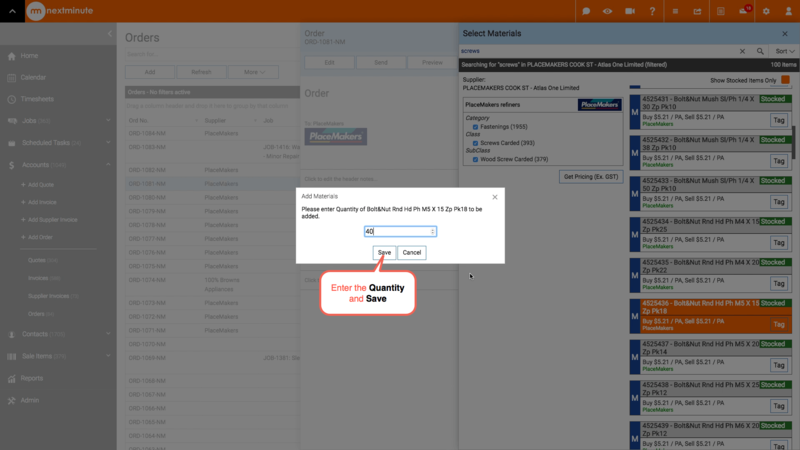 The changes made to your submitted order will only save to NextMinute, you will then need to contact your branch to advise them of the changes and/or send them a copy of the amended order. 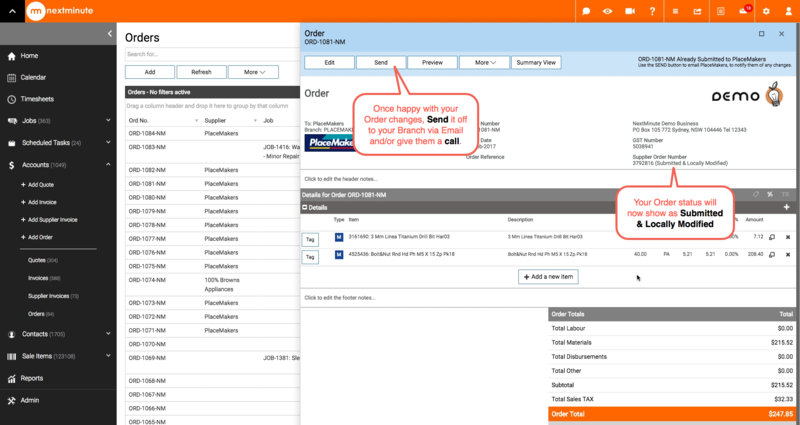 You can also call your PlaceMakers branch to cancel the order and create a new order to submit. Read through the note before selecting Yes. Type the product your needing in to the Search bar and hit enter, narrow your search down by using the category refiners, tick the box to only show products stocked by your branch and tick the box to get pricing. 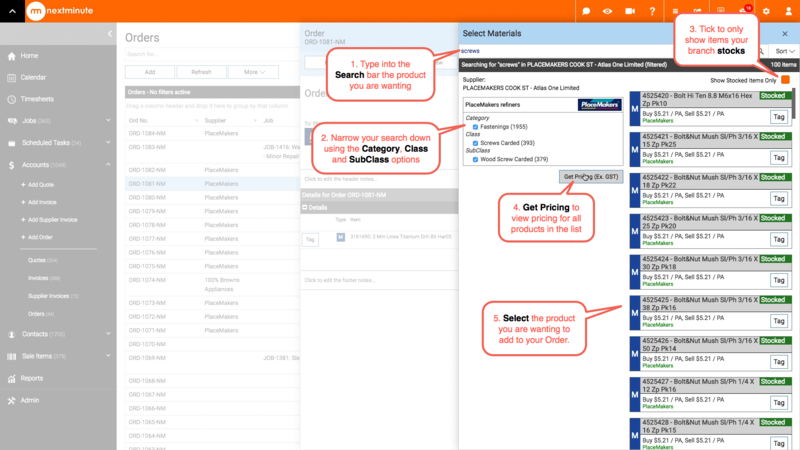 Select the product you want to add to your Order. 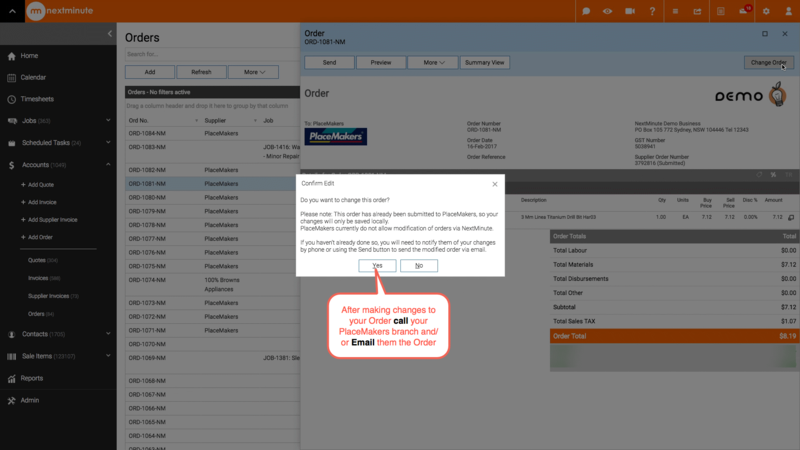 Step 7: Once you have finished making changes to your order send it off to your PlaceMakers branch and/or give them a call to let them know. 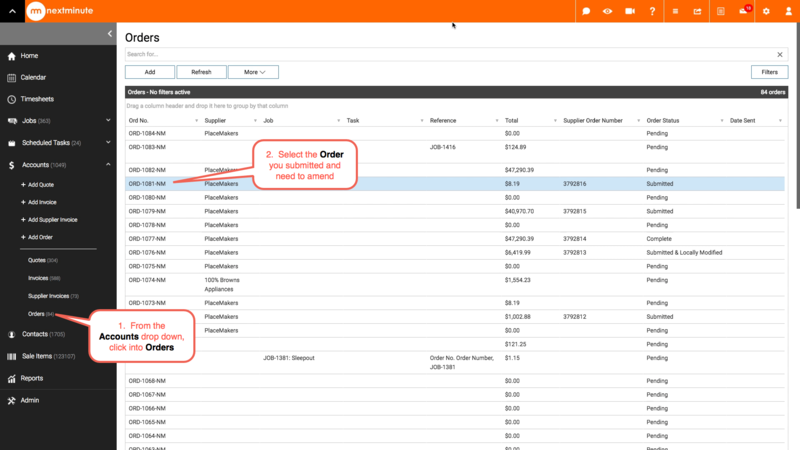 Your order status will now show as Submitted and Locally Modified.